What fantastic day yesterday, heck what a fantastic month January has been, check the Thursday, January 31, end of day blog post. You can see what a few our members did. 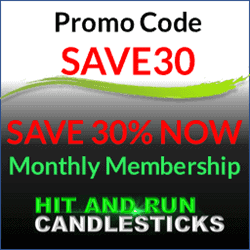 If your We are kicking February off with a 30% discount on our membership. I will also be offering 1-hour free coaching for the first ten that takes advantage of the 30% discount! The SPY closed higher yesterday at $269.93 on the HRC Dotted Deuce Line. The follow-through yesterday extended the bullish J-Hook continuation as well. As of yesterdays close the bulls have ignored and resistance the bears have tried to put up. In our recent blogs and the trading room, I have stated we are cautiously bullish. Yesterday we practiced Base Hits and closed all the good profitable positions and now getting more interested in adding a PUT or two. The TC2000 T2122 chart is pegged at 98.56, I for one have never seen the T2122 this high for this long. On the Bull side, price continues to ride the T-Line, and the T-Line is riding the Red/Green Trendicator Line. For the Bears, the resistance is in please, now it’s up to the bulls to what they are going to do with that information. Closed at another low yesterday on the 200-SMA. It seems there is no fear in this market, at least for now. No Trade-Ideas on Fridays -Good Trading To All!